Hey guys! I recently finished reading Prisoner of Night and Fog, a historical fiction set in Munich, several years before World War 2 broke out. Prisoner of Night and Fog initially caught my attention as I've always held a fascination for stories set during WW2, and Adolf Hitler's character has always intrigued me. I'm glad I decided to download this off Edelweiss as I enjoyed this book immensely, and I absolutely cannot for the the next book in the series! To start off, please describe Prisoner of Night and Fog in 5 words. 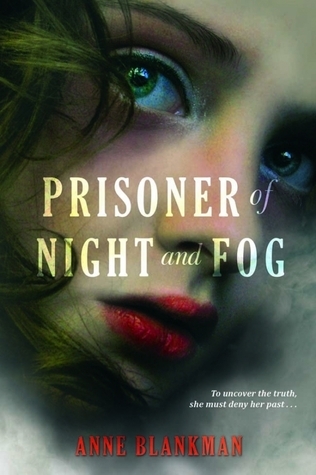 What was your favourite part of writing Prisoner of Night and Fog? I loved revising it during my first round of edits. My editor is an incredibly thorough reader, and she had sent me a wonderful editorial letter. Her comments helped me see the manuscript much more clearly. Suddenly I knew what changes I needed to make to turn Prisoner of Night and Fog into the story I wanted it to be. It was an exhilarating feeling. And the most difficult part of the writing process? I think, for most historical fiction authors, it's tempting to pack your story with information your reader doesn't need. While I was doing research, I discovered so many incredible details that I couldn't include because they would slow down the story or my main character wouldn't know them. For example, I learned that Hitler sported a tiny mustache because he thought it made his nostrils look smaller. I would have loved to include that tidbit but there's no way that Hitler would have confided something so personal to Gretchen, my main character. So finding a balance between telling my readers enough historical information and bombarding them with stuff I find interesting is a definite challenge! I’m aware you wrote about Hitler for your honours thesis in college. What made you want to research and write about Hitler? What was it about him that fascinated you? I think Hitler fascinates so many of us because he was evil. Truly, completely evil. And there is no reason for it. What I mean is this--historians haven't been able to find the source of Hitler's hatred for Jews. For the first twenty-odd years of his life, he was casually anti-Semitic, as many people unfortunately were during that time period. But he was also deeply grateful to the Jewish doctor who treated his mother for breast cancer--so much so that, when Austria was annexed to Germany in 1938, Hitler arranged for the doctor to emigrate to America, where he lived safely for the rest of his life. This kind of behavior is mind-boggling. How could Hitler despise Jews and protect one of them? Why did he hate Jews so much? There's no real reason for prejudice, of course, but we don't even know why Hitler fixated on Jews. There are no answers, no matter how desperately we search for them. Essentially, Hitler has escaped all explanation. It’s mentioned in the ‘author’s not’ section in the e-ARC that the main character, Gretchen as well as Kurt and Daniel are fictional characters. What inspired you to write Daniel’s character? Was he inspired by any notable historical figure/anyone in particular? What a great question! Yes, Daniel was inspired by the heroic journalists of the Munich Post, a Socialist newspaper. Throughout the 1920's and early '30's, these men wrote scathing investigative articles about Hitler and the Nazi Party. These reporters were sued repeatedly by Hitler for libel; they got beaten up sometimes in the streets; they often feared for their lives but they never stopped writing. I was so awed by their courage that I decided to create Daniel, who pursues the truth as fearlessly and aggressively as they did. After doing a little background research on Hitler, and his mistress Eva Braun, I discovered Eva had 2 sisters, one of whom was called ‘Gretl’. This is also Gretchen’s nickname in the book. Furthermore, Gretl later married a man named Kurt, and it seems Kurt did show a little interest in Gretchen at one point during the story. Were the names purely coincidental or did you name the characters after real life people? You're the first person to notice this! I wanted the fictional characters' names to sound German, but familiar enough to readers in different countries, which is why I originally chose Gretchen. Plus, Gretchen means "lustrous pearl." I loved the idea of Gretchen as a pearl--starting life as a speck of sand in an oyster, but through years and work growing into something as strong and beautiful as a pearl. By the time I started researching Eva Braun's family, the name Gretchen had stuck. Eva's own sister, Gretl, actually married a man named Hermann Fegelein, who was executed on Hitler's orders for desertion when Gretl was about nine months pregnant with their only child. All of the fictional names are significant. For example, I came up with "Daniel" because I think of that character as a young man trapped in a den of lions, just like Daniel in the Hebrew Bible. I’m a huge fan of historical fiction! 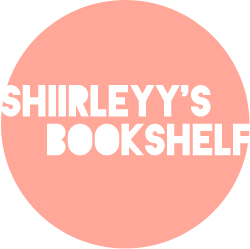 What are some books you would recommend to historical fiction lovers like me? I'm currently obsessed with the trilogy His Fair Assassin by Robin LaFevers. Nun-assassins, romance, and fifteenth-century Brittany--does it get much better than that? Any historical films you would recommend? Any of Alfred Hitchcock's films! Love, love them, especially North by Northwest, about an ordinary man caught up in a web of international intrigue. Plus, it's got CARY GRANT. I also adore Shakespeare in Love. If you're interested in my book's time period, be sure to watch The Blue Angel with Marlene Dietrich. It's one of the last, great examples of avant-garde German filmmaking before the Nazis took over. Thank you so much for stopping by and taking the time to answers the questions! Ooohh...thanks for putting this under my radar Shirley! It sounds like a fascinating book! I'm a huge fan of WWII fiction, so whenever a YA author announces a book in the genre, I get really excited! The stories Anne shares are fascinating; Hitler is such a complex and truly evil person, yet - like Anne shows - there are some sides of him that we just don't think about very often. I found the story of the doctor fascinating!